Explore All of Northeast Ohio! Whether you’re looking for a quick day trip or a vacation getaway, plan your next adventure in Northeast Ohio! From urban settings to small-town charm, our Ohio destinations will please every member of your group and our travel and tourism partners across the 18-county region are ready to welcome you. 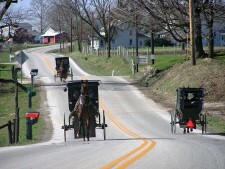 Exploring the back roads and the plain and simple lifestyle in several Amish communities across the region that make Ohio’s Amish Country the largest Amish settlement in the World, or learning about when Ohio was the western frontier while visiting many of the museums and attractions that highlight our historic past . If you’re looking for a relaxing place to rest your head our Northeast Ohio bed and breakfasts make your stay relaxing and enjoyable with a touch of home and we have hotels and resorts to fit every budget, regardless if you’re a business traveler or looking for family-friendly lodging. Are you a fan of sports or music? Northeast Ohio is home to the Pro Football Hall of Fame where you can relive the moments and see the legends of the game, and the Rock & Roll Hall of Fame and Museum, where the history and energy of Rock and Roll come to life. Both of these attractions are must-see on many bucket lists. Want to spend time in the great outdoors? Our region features great destinations for boating, camping, fishing, and hunting as well as Cuyahoga Valley National Park, Ohio’s only National Park. Shop in our historic downtowns, nationally-known retailers, and outlet centers where you can find a great deal, that perfect gift, or a cherished antique to fit perfectly into your home. Northeast Ohio also features some of the greatest wineries in the United States. Stop and savor a glass or purchase by the bottle for yourself, family, or friends. Or if a good meal is on your mind, you’ll find a wide variety of dining options, from gourmet meals straight from a world-class chef or a comforting family-style meal. You definitely won’t go hungry. 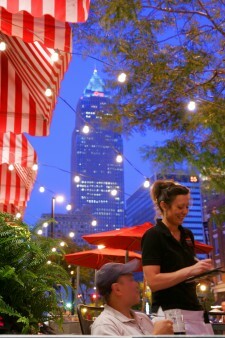 Have a question about planning your visit to Northeast Ohio? Feel free to request information or contact one of our partner tourism bureaus or other services for more information, brochures, or advice on what to see and do. Also, stop by and visit us on Facebook or follow us on Twitter, where we share information from our members to give you even more reasons to visit! Youngstown is Sparkling for the Holidays! Request our 2018-19 Northeast Ohio Map & Directory and begin planning your adventures today!